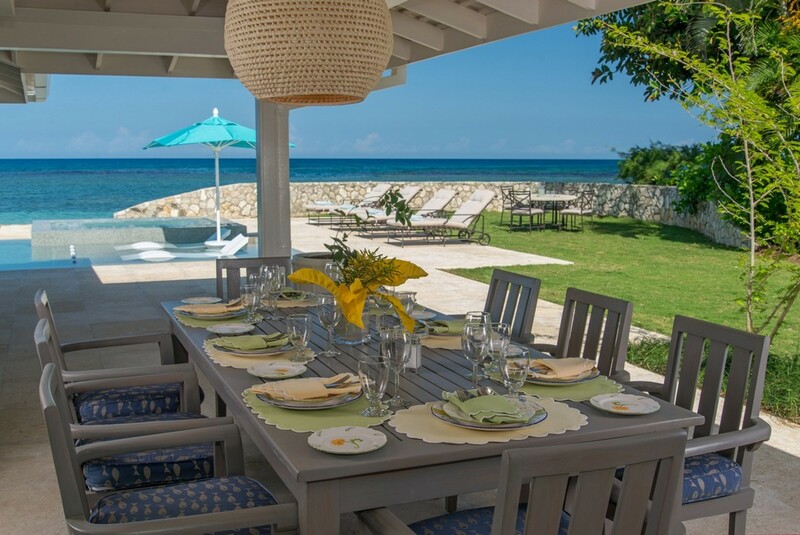 Welcome to Sunset on the Beach, a charming 5 bedroom private beach front villa located at the exclusively renowned Tryall Club in Montego Bay. 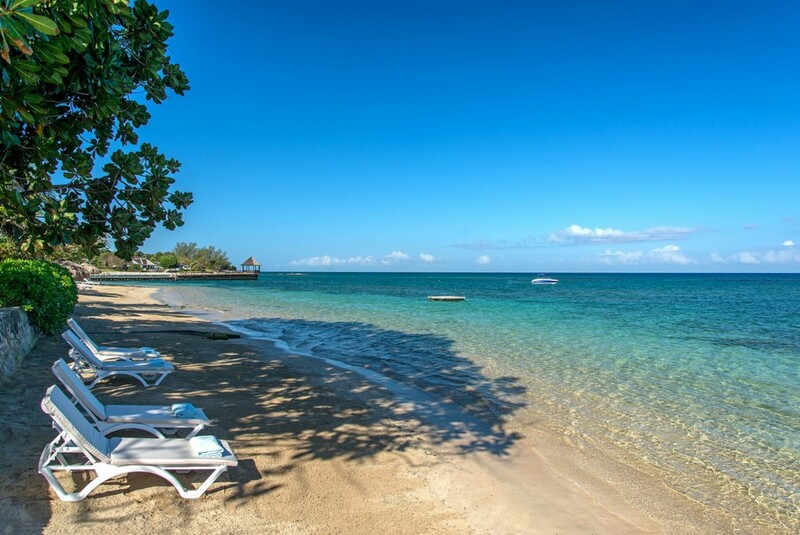 The stunning turquoise blue all-day view is topped off by a unique sunset sky and a spectacular nighttime view of the sparkling lights of the town of Montego Bay 12 miles across the sea. 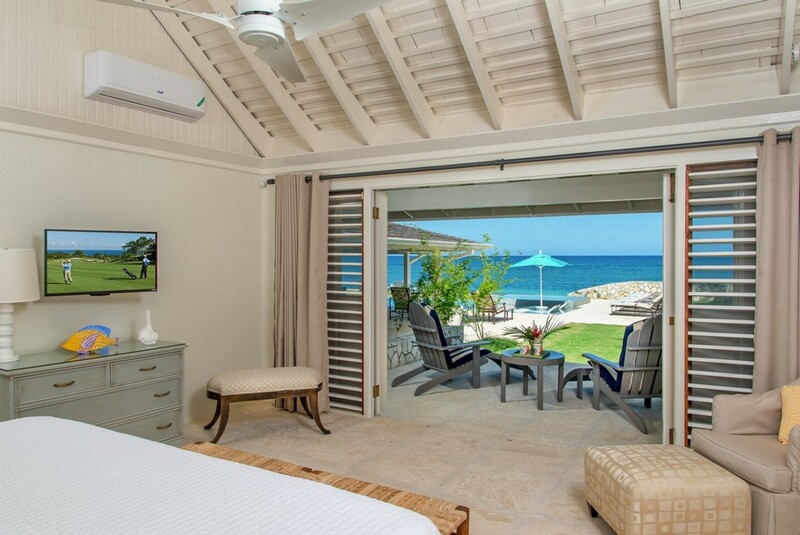 While Sunset boasts an utterly sensational view, it also has a blissful and peaceful ambiance with the rustle of the trade winds and the lapping of the waves on the beach being the sound track of your vacation. 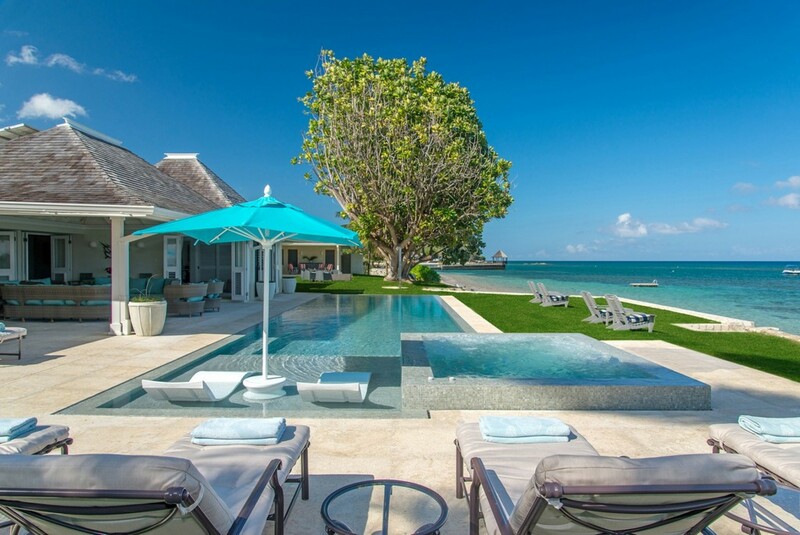 Villa Sunset is absolutely positively on the beach. 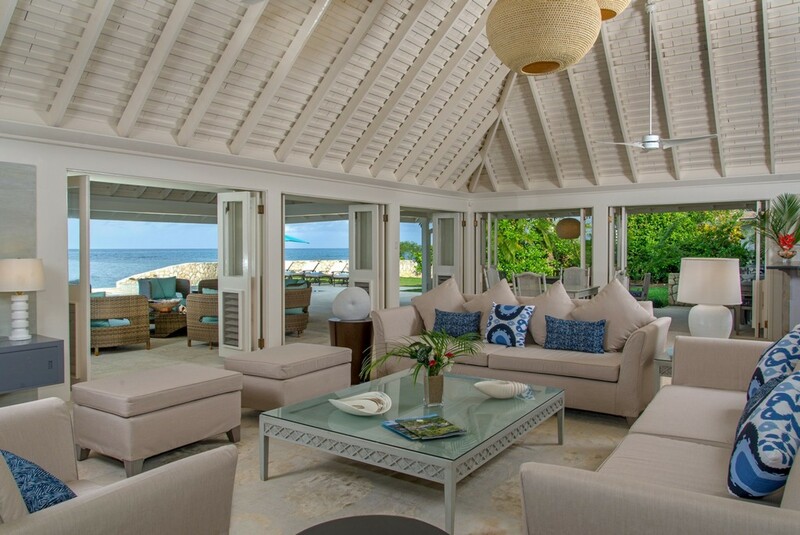 If you have always dreamed of a Caribbean vacation in a totally private heavenly home with the beach a stone throw away and an endless amount of doors, windows, louvers, ceiling fans and even a soft lawn that invites barefoot walks to the edge of the sand and sea – Villa Sunset is your dream come true. 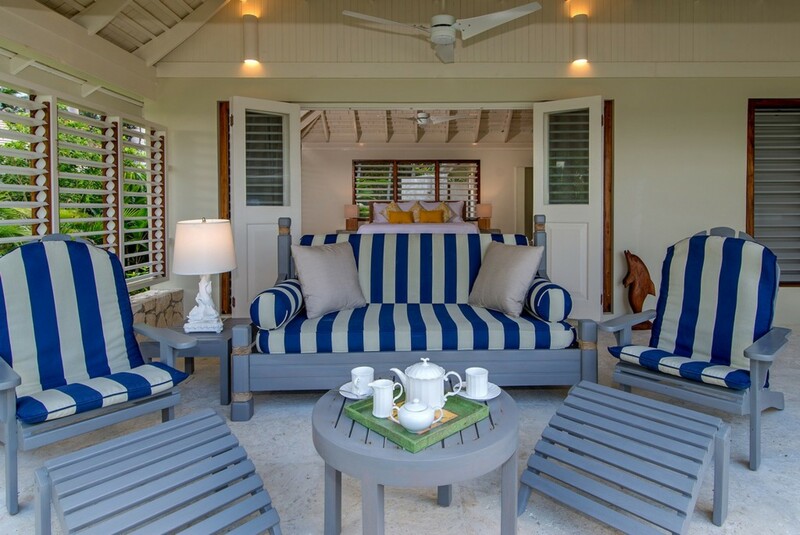 This Jamaican villa has 24 louvered doors in the living room, a stroll from the breakfast table to feet in the sand and swim or kayak to a live reef. Villa Sunset is a postcard pretty villa with its wonderfully refreshing colour combination coupled with the interior design and natural beauty outside - sea, sand, sunrises and sunsets. Peach and cream, pink and green, yellow and blue. 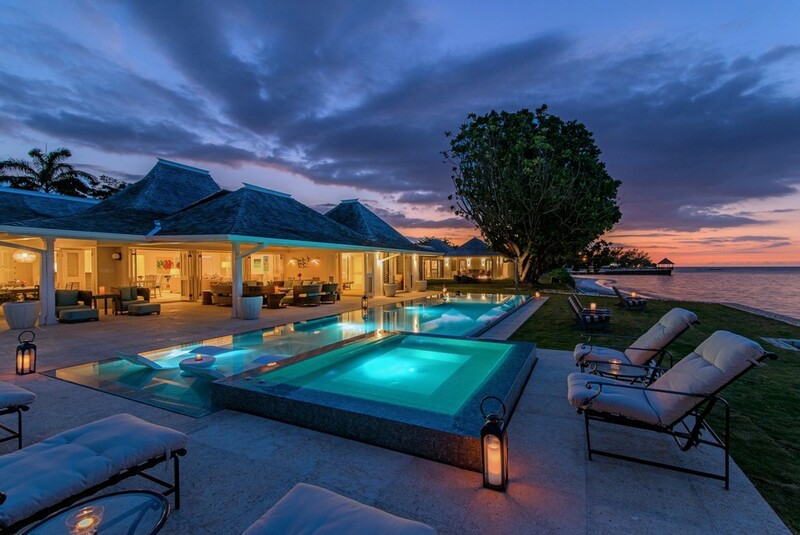 Villa Sunset will entertain you. Flat screen TV’s bring in dozens of cable stations. A SONY MP3 makes the rafters ring. 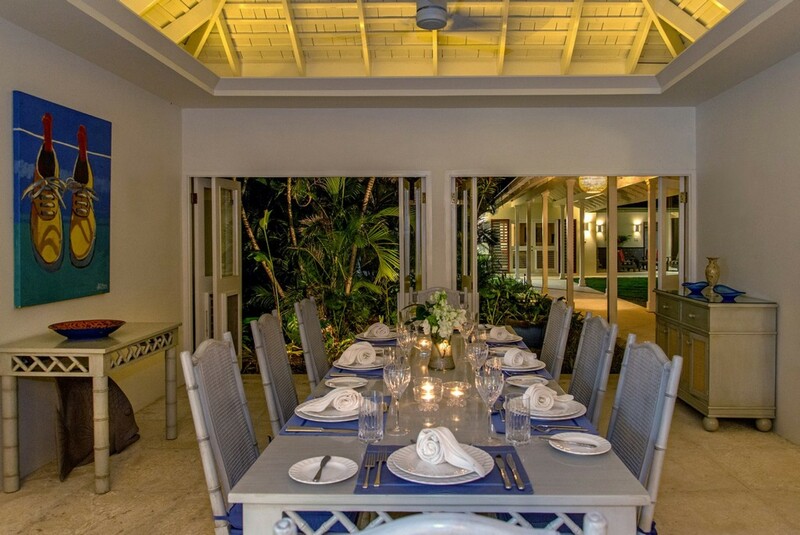 The Tryall Club itself provides golf and tennis, water sports and beach parties … and even a terrific kids club. 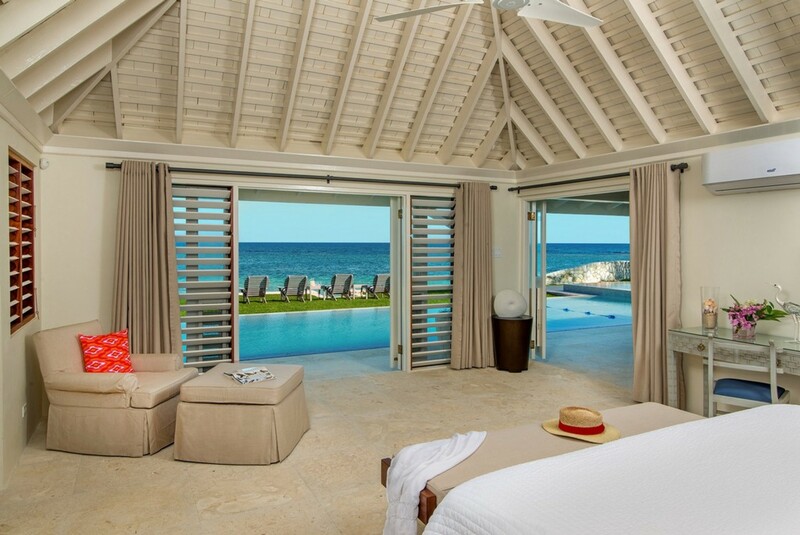 Villa sunset is ideal for families and perfectly designed for kids. Two side-by-side bedrooms provide proximity for parents and children. The cook prepares special meals for youngsters and feeds them early. 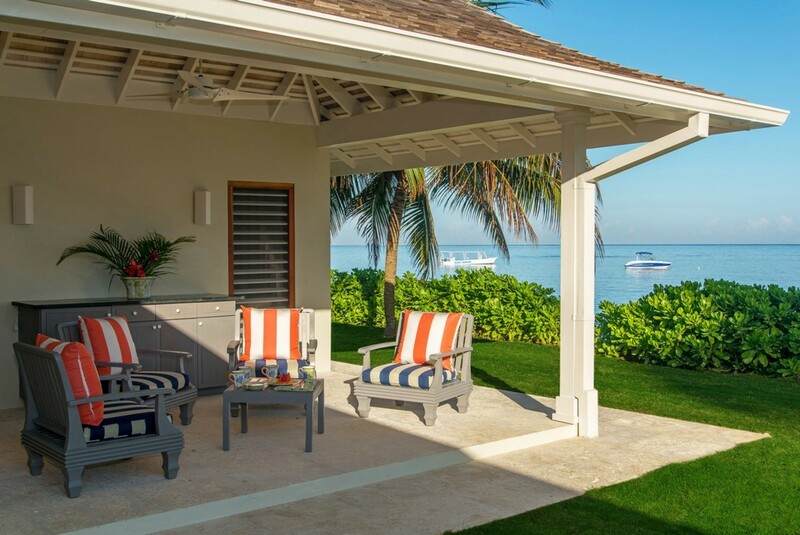 Kids love to play on the beach and romp on the large, soft lawn. Beach toys provided. Nannies are available on request. Open your eyes under water as there is no chlorine in the pool! . 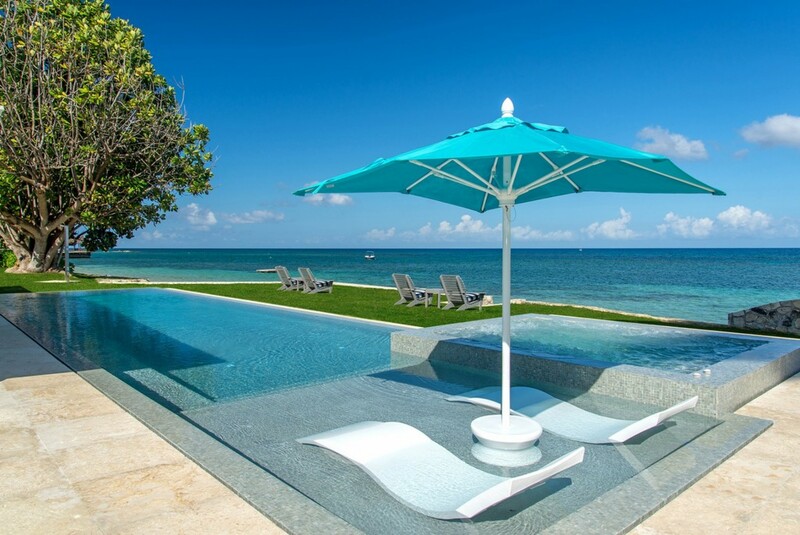 The computer-controlled salt water pool is immaculate and uses no chlorine. No tears from toddlers and the Brown Jordan chaises are excellent for kids and adults too. Meet other kids: Take the complimentary golf cart up the hill to the Hummingbird Kids Club. It's free! 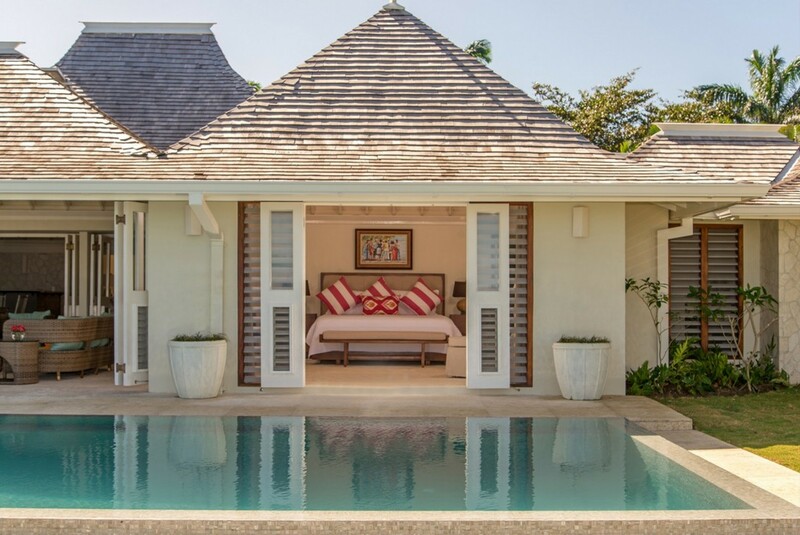 After a revitalising swim in your pool treat yourself to a drink at your large granite bar in the living room which is never more than a few feet away from anyone. 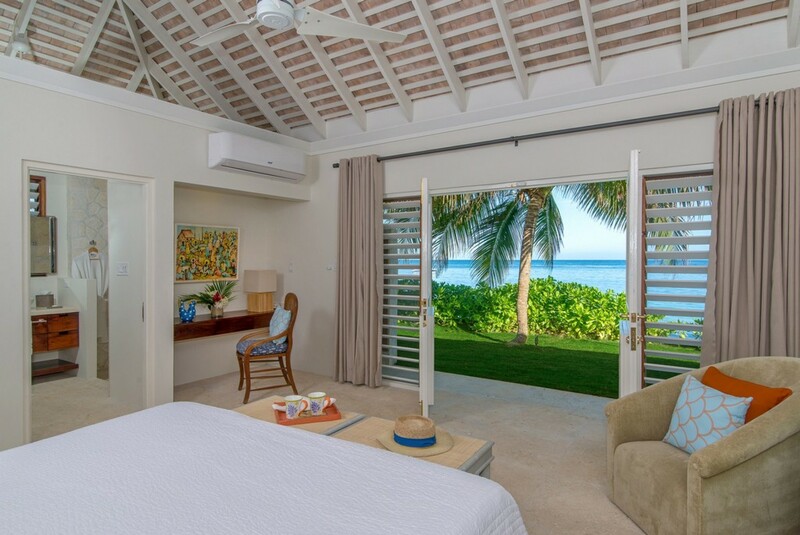 Fridge and icemaker mean cold drinks are always right there – walking distance from the pool, a short trot from the beach. STAFF When you stay at Villa Sunset, you will be personally cared for by The Villa’s own cook, butler, housekeeper, laundress and gardener. You will feel welcomed and pampered throughout your stay. On the beach, or by the pool, the staff will be on hand to look after your every need and ensure your comfort at all times. Sunset on the Beach underwent a significant upgrade during the summer of 2016. 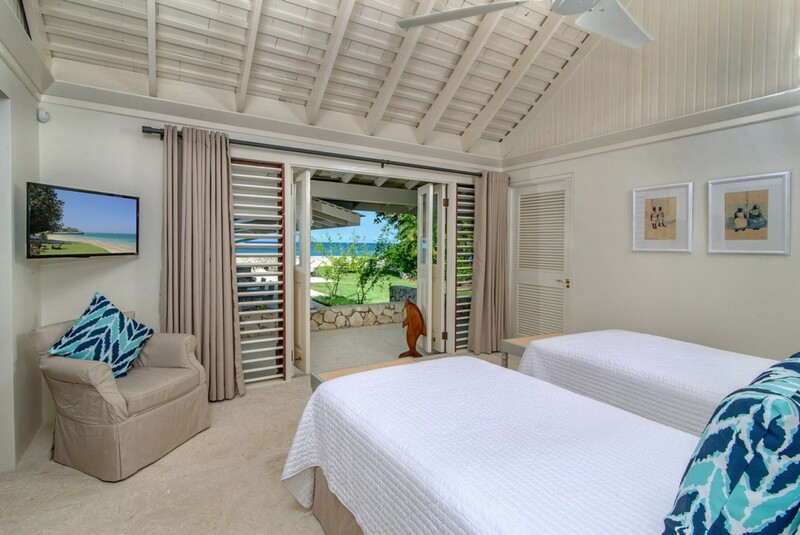 The addition of a two-bedroom cottage (with views across the sea to Montego Bay) increased the number of bedrooms to five. 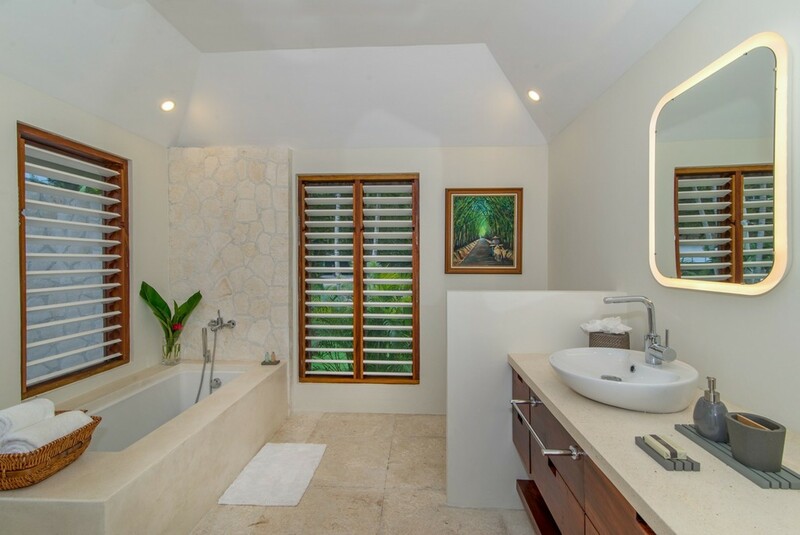 Along with refurbished bathrooms and all new furnishings, this upgraded luxury oceanfront villa is a Sunset on the Beach you will not want to miss! 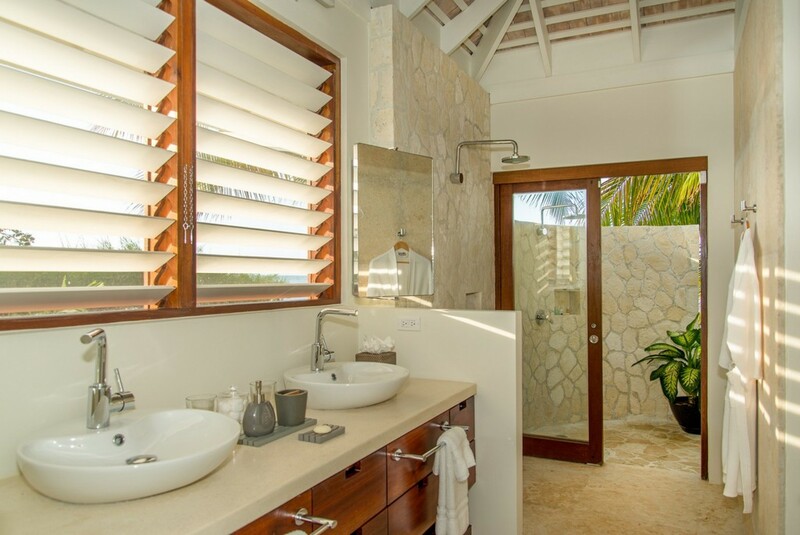 • Newly refurbished/upgraded during Summer 2016 with New Features! 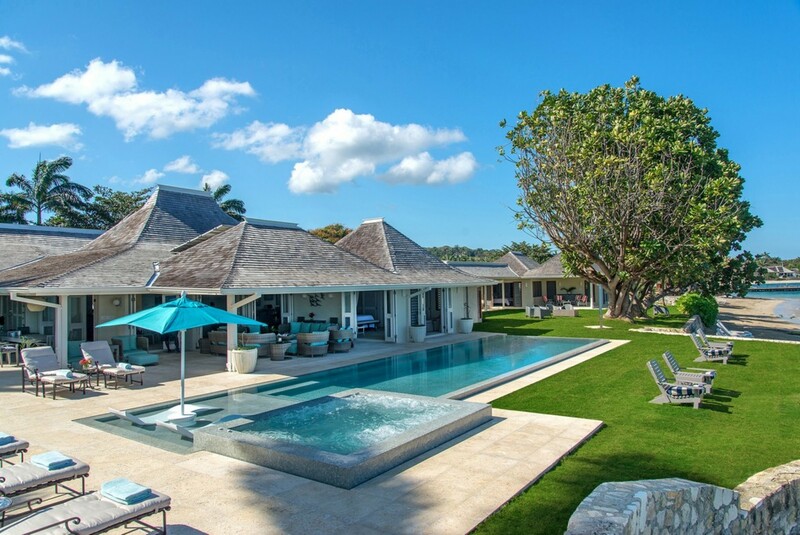 • The Tryall Club membership: complimentary beach, tennis, gym, pool, Hummingbird Kids Club, non-motorized water sports, Internet room, Usain Bolt Games Room for kids, teens & adults, jogging trail, afternoon tea & Manager's Cocktail Party every Monday night. For various fees: golf, tennis lessons, Happy Hour, hair salon & spa, bars & restaurants, boutique, motorized water sports & Reggae Night on the Beach Thursday night. Optional kingsize or twin beds, en-suite bathroom. 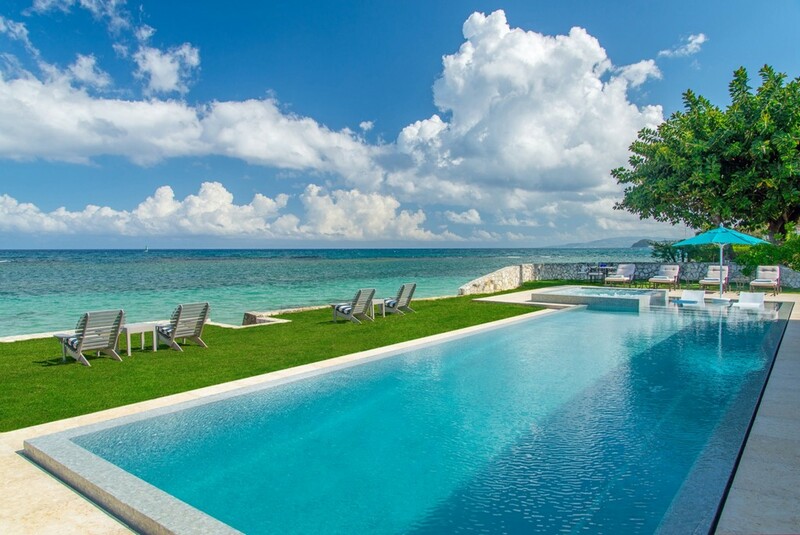 Magnificent pool and ocean view. Optional kingsize or twin beds, en-suite bathroom. 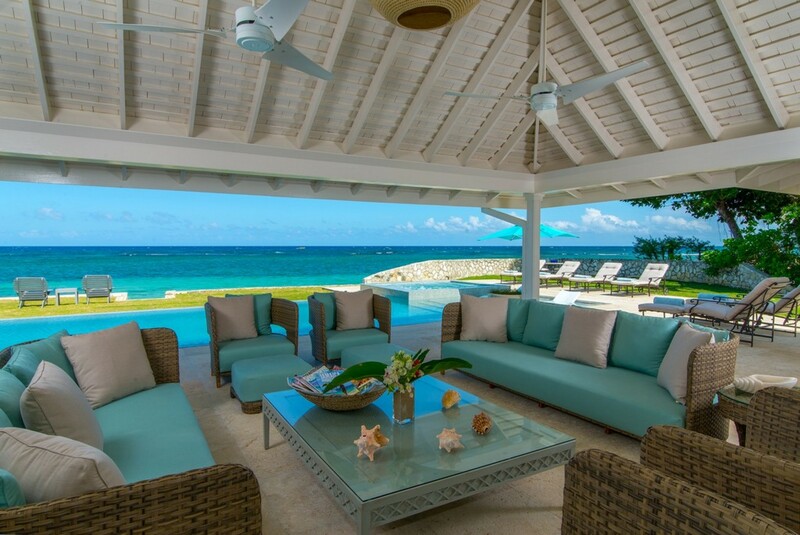 Sea-facing ocean view. 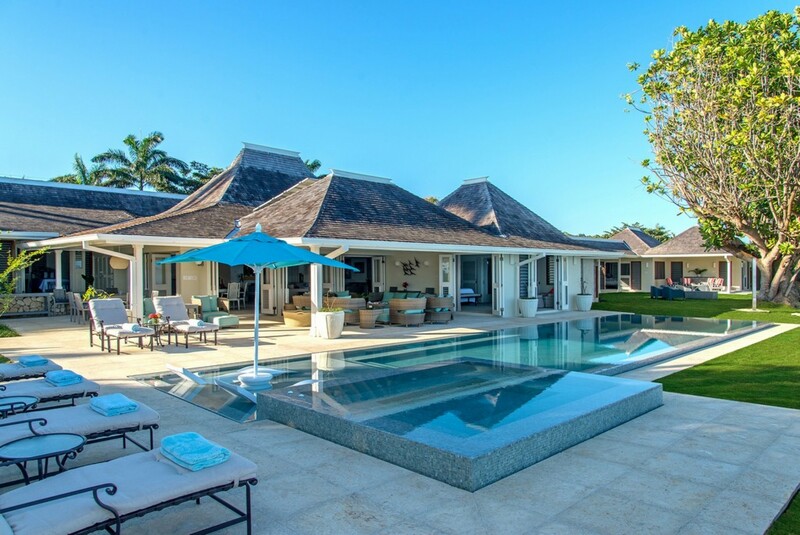 • 3,000 Interior Square Ft.
Government Consumption Tax of 15% must be applied to the villa rental rate. Hi Emma, Our vacation was wonderful. The staff was outstanding and we really enjoyed our stay there. Every need was met and every request was met as well. We would definitely love to come back in the future. The villa was beautiful as well. Thank you! I just wanted to follow up and let you know we had an amazing time over the weekend at the Sunset villa. The food was amazing and the staff were really nice to us and took care of everything. We even met the owner briefly who was very nice, the property was in incredible shape. If possible I wanted you to pass along our thanks to all of the staff but specifically, we wanted to make sure everyone know how much we liked our host Anthony. He went above and beyond taking care of every single detail and providing great insight to the island and local surroundings etc. Tony was a massive asset to the trip and I just thought it was important we made sure that info made it's way back to you guys and whoever else in charge of the staff for the villa. The most amazing place and staff I have encountered.